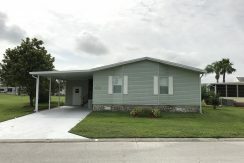 Vista del Lago is an all-age, leased land, manufactured (mobile) home community set on the shores of Raccoon Lake, just 5 miles from Walt Disney World in beautiful Central Florida. The community features homes from the nation’s top builders – Palm Harbor Homes, Homes of Merit and Jacobsen Homes, as well as others. Currently, there are new and resale home available to purchase or rent (short or long-term). You’ll love the character of the community with its many lakes, natural areas and activities. Whether you are looking for a fantastic place to raise a family, retire or a great place to vacation, Vista del Lago has it all. 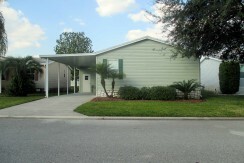 Looking for a short or long term rental in Central Florida? 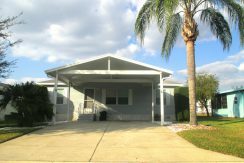 At Vista Rentals, we have immaculately maintained homes just minutes from the attractions, outstanding schools, employment, and a host of recreational activities. Our short-term rentals are available for stays from one week to six months. All the short-term homes are fully furnished and ready to enjoy. Our long-term rentals, which include terms of six months and beyond, are an excellent solution for those working in the area, building a home, or just enjoying all that Vista del Lago has to offer for an extended time period.